I always have bras too large as I am losing weight. Wonderful to hold up straps. I've needed these for awhile.I was going to throws some bras away.But now i'll keep them. My sweet 92 year old step-mom has sloping shoulders and her straps driver her crazy sliding off her shoulders, so I thought we'd give these a try. because my straps slide off my shoulder and this keeps them on. my bra staps are always falling off my shoulders. I love these. NEVER have to pull up a bra strap again! I have ordered Happy Straps in the past, but none were included in this order. I did order fitted sheet straps. I love to wear tank tops. Have slumping shoulders. This will hopefully keep my straps up. slipping straps drive me nuts! Tired of falling straps. Will try. I have used them for years. They really work. 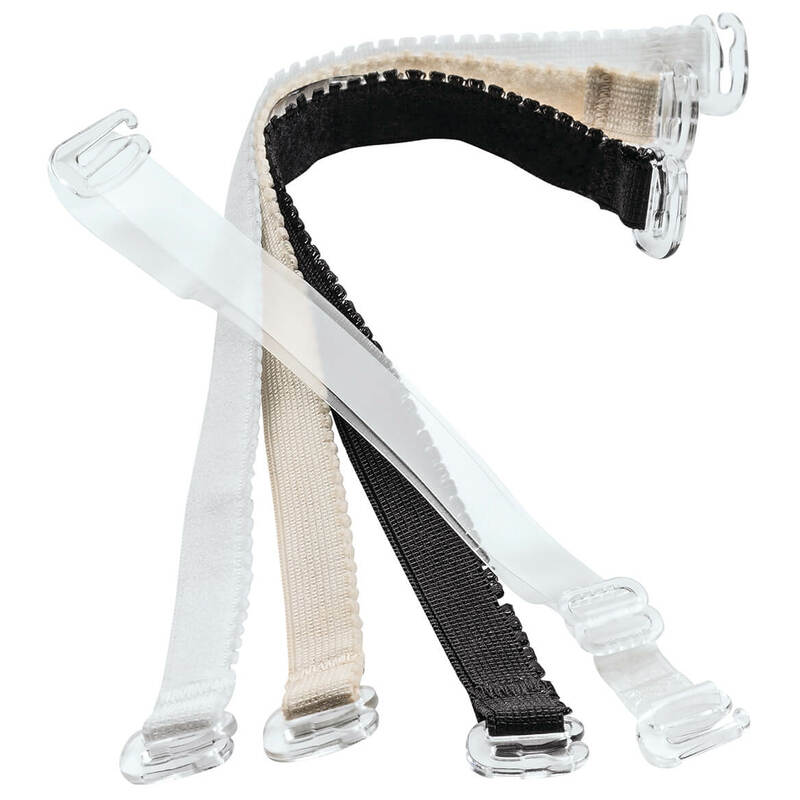 Mom fractured her clavicle and could use these straps to prevent slippage whenever she is active. This will be especially helpful for her ( and me as well) during bowling events as you are constantly dipping your shoulder and straps slipping can be a nuisance. have bought these before and love them. Because my bra straps always fall off my shoulders. Hoping this works. I have used them before and the are great. I always have problems with my bra straps staying on my shoulder, so thought I would try these. To keep my bra straps from falling off my shoulders. because I need to have some of my straps pulled together , and I live alone . Have used before with great results and have been unable to find them in stores. Was happy to find them in your catalog. I am tired of pushing my straps up all the time . I needed it for support. These help keep my sanity as my undergarments don't fit properly with my weight changes. I drove myself crazy always adjusting my straps! keeps my straps in place I could not find them in locally. I love these, they are great. Use a different brand daily. Had been looking for them. I am tired of my straps falling off my shoulders all the time. My mom's little 91 year old shoulders droop, so here's to an end of slipping straps!! Keeps my straps from slipping and allows free movement of my arms while I work. need to order? My bra size is 38D. BEST ANSWER: Thank you for your question. The SM/MED is 7-11 inches, the LG/XL is 9-16 inches. We hope this information will be of help to you. Are they in the store? BEST ANSWER: Thank you for your question. We are a catalog and web based company only we do not have a store front. We hope this information will be of help to you. how long is medium size? How many inches is a medium? a large?